Whenever the Hubby is on late shifts, the darlings and I go to my parents house for tea. It's something we've done since Oliver was a baby and it's become something of a routine for us. Now it's recently turned into a big family gathering with my sister and her girls coming too. 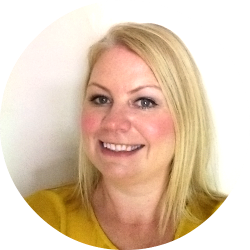 It gets a bit crazy with my parents bungalow filled with four children aged, four, three, two and one running round, fighting with each other and toys strewn everywhere. They love it though. My contribution is to make something yummy and laden with calories for dessert. 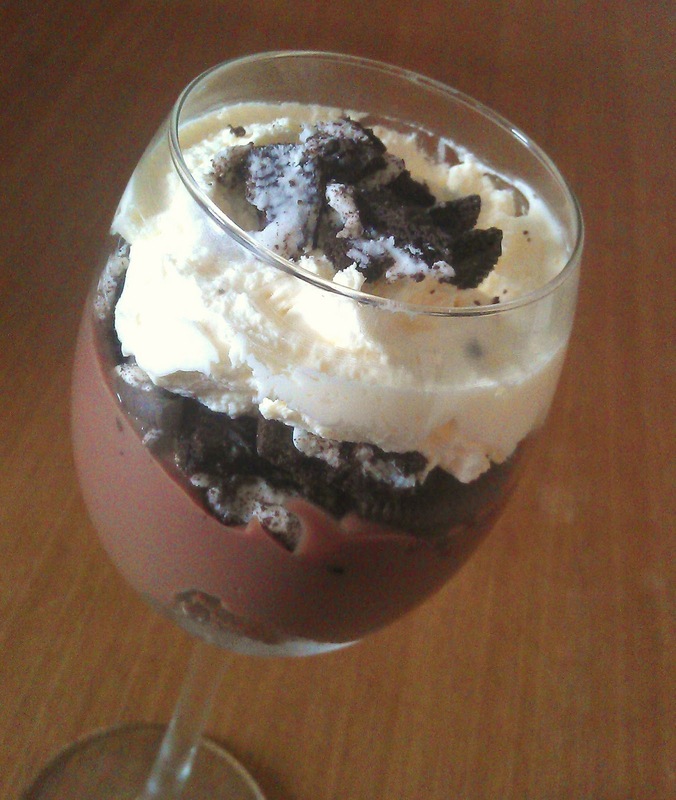 My latest creation was this Oreo chocolate trifle. I thought the last time I made a trifle, it had a certain something missing. So I had a search on good old Google for a few ideas and came up with this. The Oreo cookies were certainly the missing ingredient! The recipe below is for a full size trifle. 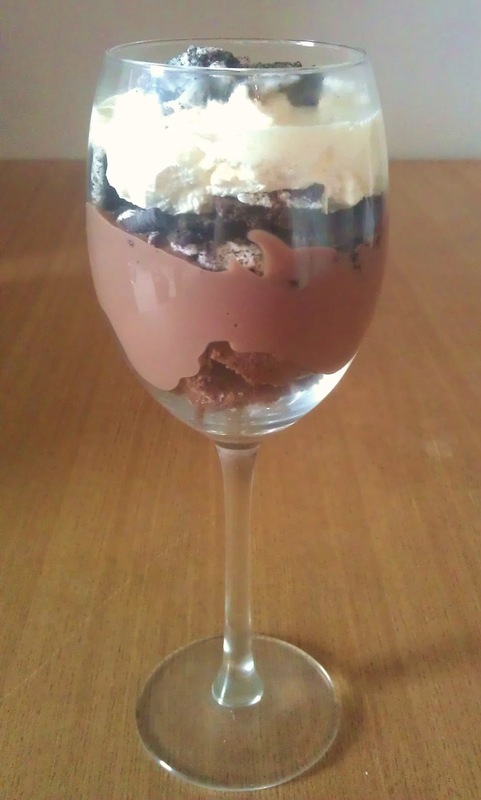 Unfortunately I don't have a fancy looking trifle bowl, so I layered it up in a wine glass for the photos. Oliver and I demolished it a few minutes after I took these photos! Put all the Oreos except 2 into a strong plastic bag and bash with a rolling pin. Don't bash too hard as you need to keep the pieces quite big. Take the remaining 2 cookies and bash them into fine crumbs and keep them aside for later. Whip the cream with an electric hand mixer until it forms soft peaks. Cut the swiss rolls into slices of 1.5cm thickness. To assemble the trifle, place a layer of swiss roll slices on the bottom of the trifle bowl and pour over half of the chocolate custard. 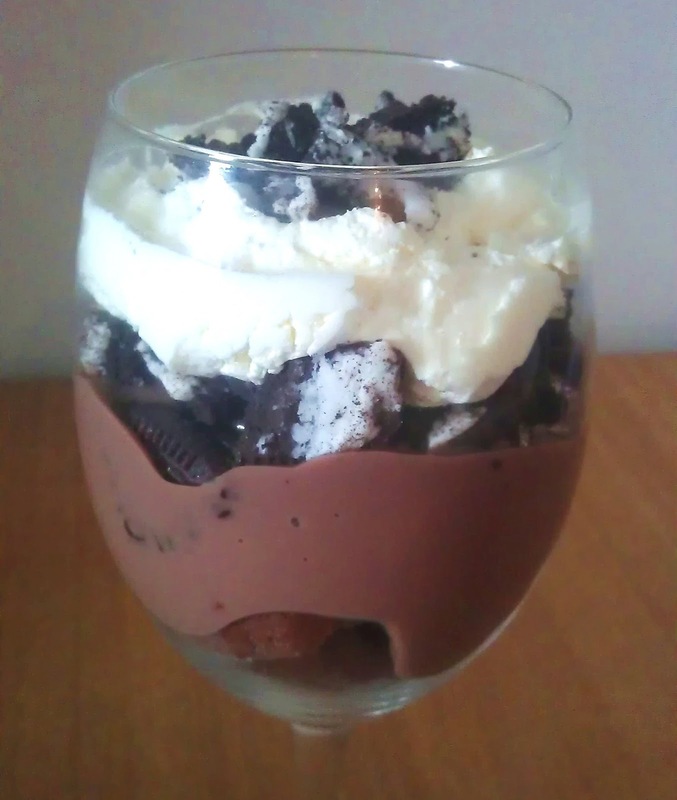 Put half of the broken up Oreos on top. Spoon half of the whipped cream and spread it evenly with a palette knife or the back of a spoon. Repeat again, layering exactly as above. Sprinkle the top layer of cream with the Oreo crumbs.